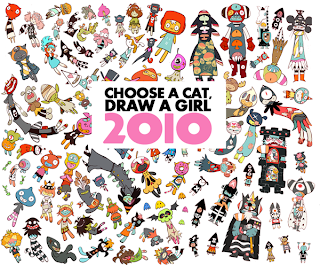 all the cats has been magicaly turned into girls,a nd the freaking good result is to be seen here. so many fantastic pieces of art in one pile, bound in one project. lovely! use your mousewheel 53 times to scroll down and you will find my painted girl. next year again! lookign forward to it very much!